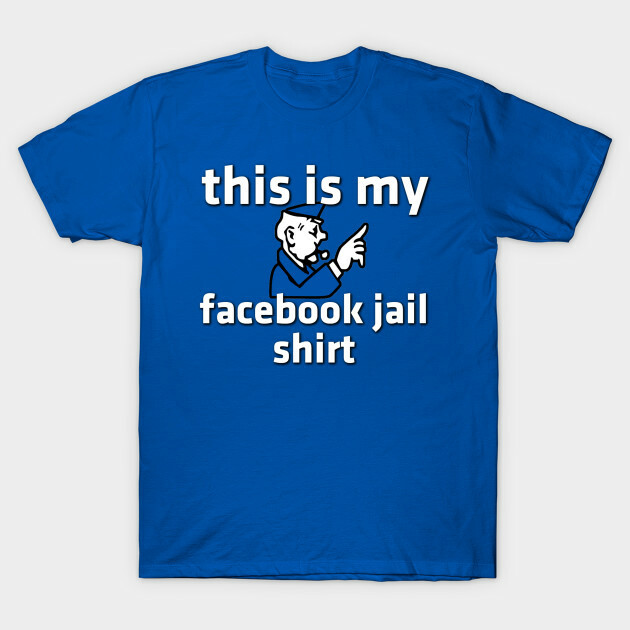 We're still in our 30 day stint of #FacebookJail so we've been busy trying to get our Twitter account humming along. We've had our Twitter account for just as long as Facebook, but we've always concentrated on Facebook because we have way more followers there. They said we were aggressively following people. 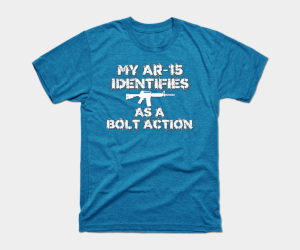 What the hell does that even mean? I think it's all just an excuse to silence our voice because up until today we've been very vocal about building the southern border wall, and calling out the deep state for the whole #Spygate debacle. Please, for the love of everything holy, will someone create a conservative alternative to Twitter and Facebook? 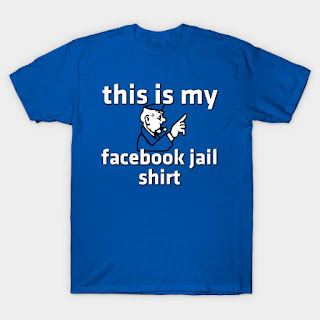 Anyway, in the meantime I'll just be wearing my Facebook Jail shirt. Please follow us on Twitter so we can all talk about this when we get out of jail.